Lotus is giving the Evora a complete makeover before it is retired in 2017 to make way for the Elan. Before Lotus retires the Evora in 2017 for the Elan, they want to get the most out of their premier model for the time being. Lotus has recently introduced the Evora S model and they are planning on putting out a flagship, track-inspired version into their lineup. Set to debut at the Frankfurt International Motor Show, the new car will feature a newer, higher output version of the supercharged 3.5-liter V6 that was used in the Evora S. The output could be has high as 400hp. A stripped-down interior, the use of carbon fiber and composite materials will also help keep the weight of the new car down. "The priority is to improve the quality, to give the car a soul," said Lotus head Dany Bahar. "We should have some commonality across the two cars, so we can start with developing a soft-top (carbriolet) mechanism that goes into both." Several versions of the Evora are already scheduled to come out. 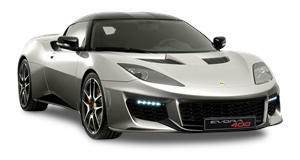 The IPS (automatic transmission) Evora is scheduled to come out in the U.S. by the end of the year. The new racer may not be ready until next year. A hybrid plug-in concept could go into production in the next two years and will debut this October. According to the engineers working on the hybrid concept, the 1.2-liter 3-cylinder engine and twin-electric motor drivetrain will produce 738 lb-ft torque (not a typo) and should be fast enough to run 0-60mph in 4.4 seconds. C02 emissions will be kept low to 55g/km and price of the hybrid will run around £100,000. An open top version of the Evora is also planned. The cabrio is likely to share the Esprit&apos;s roof mechanism. Also, the 2017 Elan will feature a Lotus built V8 instead of using Toyota&apos;s motor from the Lexus IS-F.